Being a prison officer isn’t just about locking and unlocking doors. It’s about providing the support, space and opportunities for people in prison to turn their backs on crime. To help achieve this, HMPPS have introduced a new key worker scheme where every prison officer will have around 5-6 prisoners to manage on a one-to-one basis. As a prison officer, you’ll be given the time to meet your prisoners on an individual basis every week. You’ll develop skills that’ll enable you to get them engaged in their rehabilitation, for example, by encouraging them to take part in education, substance recovery programmes, and maintaining links with family members. By joining the prison service, you’ll learn key worker skills as part of your POELT. You’ll get training on how to ask the right type of questions to get a better response from people in challenging situations, and how to achieve results in a short period of time. As a prison officer, you’ll be engaging with people who’re often distrustful of authority or have challenging issues. But, dedicated time and one-to-one sessions provide a much better chance of changing their lives and reducing their chance of reoffending in the future. For example, many prisoners suffer or have a history of mental health issues. By understanding their cases better through the key worker scheme, prison officers will be more likely to pick up in changes in a prisoner’s mood and behaviour to then provide the necessary support before things escalate. In reality, hundreds of brilliant prison officers have already been doing this type of work every day – having meaningful conversations with people in prison. The prison service has now simply formalised it. Officially there will be 45 minutes timetabled each week for prison officers to sit down and have one-to-one conversations with each of their prisoners. Each prison will run the key worker programme differently, depending on the type of prisoners they have, but there will always be a consistent way of recording progress and targets. If you are starting a new role as a prison officer in a prison that hasn’t yet started the formal key worker sessions, they skills you learn from your POELT will still be invaluable to your job. We’ve spoken to staff and prisoners at prisons where the key worker scheme has already been rolled out, and staff members have already commented that there’s a different ‘feel’ in the prison. We also get feedback from prisoners on how the new scheme works for them. “You only get out what you put in. I speak for myself when I say I’m tired of being caught up in the cycle of offending, imprisonment and stagnating and just serving time. I’m changing by the day and the key worker scheme is certainly a major factor and it is providing me with the structure, confidence and belief that I am, as are we all, worth so much more than this.” - Anthony, a prisoner at HMP Liverpool. 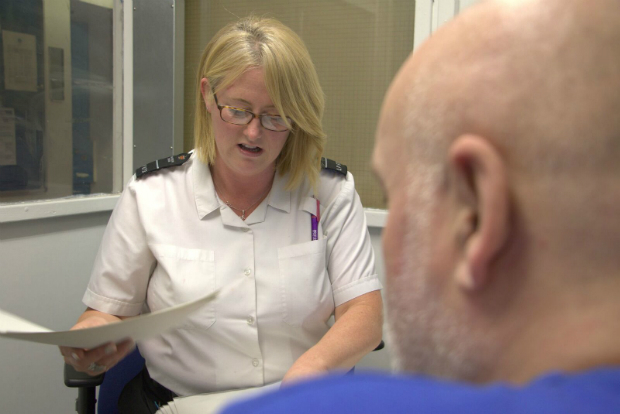 Being a key worker for prisoners will be a really important part of the prison officer role, as the skills you develop and the dedicated time you’ll have to manage your offenders will be what enables you to really make a difference to people’s lives. This programme is still being rolled out across the estate and we expect all prisons to be running key worker sessions by March 2019. If you’re interested in the role of a key worker in prison, join the prison service, and make a difference to people’s lives. You cant employ or retain the staff just to keep jails running on the bare minimum,let alone provide the resources for this scheme. I’ve recently joined the service and doing the key worker role it’s everything I thought the job would be , challenging, rewarding, even scary at time but FMI Skills I have and everything else I learnt in training have really helped and now I know I’m marking a difference to peoples lives !! Hi Mohammed - that's great to hear, thank you for sharing! This should also be a great way to promote restorative justice to officers through the key workers. This too can have a great impact in reducing re-offending. Hello I'm Portuguese I live in uk for 4 years now. I'm a teacher and I would like if I can apply to be a prison officer. It's great to hear you're thinking of applying to the prison service. As standard procedure during the pre-employment checks also known as vetting, you’ll need to provide your right to work documents. I have just been offered a role in a prison, delivering Information and Guidance on being released. Support with employment/training/courses on the outside. I'm looking forward to a new challenge and helping people try and move forward and hopefully reducing the revolving door.